Millennials are the biggest generation in the country – and no, I’m not talking about their combined weight (although that would also be pretty large). What I mean is that there are a lot of them. With a population of nearly 80 million, millennials outnumber baby boomers, and are nearly three times the size of generation X. What does this mean for you and your brand? It means that this demographic is a consumer powerhouse, and you should be working your tail off to make your brand relevant to them. The millennial demographic seems difficult pin down, in part because definitions of this group vary – but usually, millennials are understood to be born between 1980 and the mid-1990’s. The millennial generation is not only the largest in America; it’s also the most diverse. According to a Pew Research study, nearly 60% of American millennials are white, while 20% are Hispanic, 14% are black, 4% are Asian, and 3% are from other ethnic backgrounds. More than 10% of millennials have at least one immigrant parent. Despite their ethnic diversity on the outside, it’s what on the inside that really counts; and millennials do share a lot of common traits. They are a highly educated bunch, with nearly 70% enrolling in college – compared to less than 50% of gen X, and less than 40% of baby boomers. They embrace technology wholeheartedly and are socially-minded, making them more likely to support products that help a cause they find meaningful. When it comes to your brand, “traditional” outbound marketing techniques won’t turn millennials into loyal customers; it’s too “cold” and impersonal. 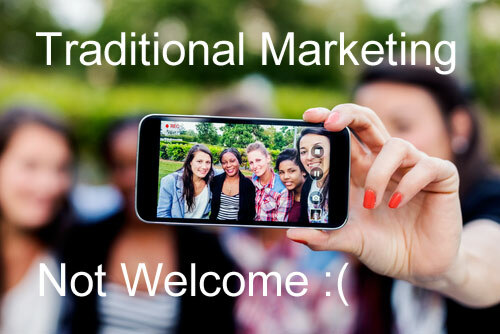 Marketing to millennials requires new techniques, new attitudes, and new ways of offering value. They don’t want to simply buy products; they want to form relationships and have meaningful experiences. The millennial marketplace is tricky — some companies have successfully tapped into what millennials really want, while others have failed disastrously. Here are a few ways you can make your brand stand out to millennials, and learn from others’ mistakes to avoid epic failure. Millennials are savvy consumers. They’re digital natives who grew up bombarded with advertising, which means they can smell inauthenticity from a mile away. Building relationships is about two-way communication, and millennials expect companies to listen to their opinions. They also expect an ongoing relationship once the purchase is complete. This makes customer service and social media more important than ever; something that Tinder apparently forgot when it tweeted outraged responses to a Vanity Fair article, essentially ignoring its consumer base to defend itself against a bit of harsh (but not entirely untrue) criticism. To truly engage with millennials, you must provide a personal and customized experience. Many of millennials’ favorite brands, such as Google and Amazon, get to know their customers so well that they’re able to provide targeted product recommendations and show millennials what they want without them having to ask. 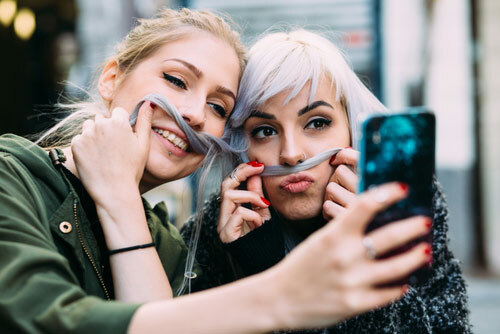 More than 40% of millennials are influenced by word of mouth, so if you succeed at building a relationship with them, they are likely to tell others. In fact, you can encourage brand evangelists to spread your message by finding your biggest fans on social media and engaging them directly. This will foster their loyalty and encourage them to spread the word about your brand and its products. As the most educated generation, millennials love to learn and constantly want more information. Combine that with their love of social media and everything online and there’s a powerful opportunity for millennials to be sharing, pinning, liking, tweeting, and forwarding your brand’s content. Sixty percent of millennials state the internet is their main source for news and information. Invest in your digital communications to show millennials you’re an industry thought leader that knows its stuff and wants to share it with them. Create videos, write blog posts, research white papers, or put together an e-book. With a solid inbound content marketing strategy, you can offer value to millennials by providing them with information on topics related to your industry. This will go much farther than outbound marketing, which just doesn’t appeal to millennials. Magazine ads, direct mail campaigns, and radio spots are white noise. Millennials find many outbound campaigns to be impersonal and off-putting, more focused on the company than on them. You’re better off developing a great content marketing strategy and offering millennials thoughtful, authentic content than putting together a direct mail piece that will end up in the trash (or rather, the recycling bin). Tech-savvy millennials are used to smooth digital experiences. Asking a millennial to print an in-store discount coupon can ruin an experience – if airlines can scan boarding passes on their smartphones, why can’t your company do the same with a coupon? Similarly, if your website doesn’t look great on a mobile phone, it can frustrate a millennial. Google knows this all too well; in 2015 the search engine updated its algorithm to favor mobile-friendly websites in search results. Soon after, non-mobile friendly sites dropped significantly in their rankings for Google’s search results, resulting in huge losses for companies that didn’t prioritize their mobile platforms. Make sure your landing pages are optimized for mobile. Don’t make them too graphics-intensive – which can slow loading times on a phone – and make your call to action clear, even on a small screen. A seamless experience goes even beyond the technical. Any inconsistency in how your brand represents itself can put off a millennial. If your Twitter persona uses casual language and has a sense of humor, so should your in-store associates. Apple recognizes this better than many brands, which is why they emphasize design and usability in all their products. Their stores look and feel the same as their website, and their products allow seamless integration from MacBook to iPhone to Apple TV. More than 85% of millennials tie their purchasing decisions to the social good efforts a company makes. Millennials not only want to see change; they expect their consumer decisions to help make it happen. Part of the success of brands like Warby Parker and TOMS has been their “buy one, give one” model. When purchasing one of their products, a consumer is not just buying a product for themselves, they’re also providing one for someone else. Millennials understand these companies’ missions and can see whether they align with their own goals. While millennials are attracted to socially conscious brands, be careful not to promote a cause that doesn’t align with your business model or services. KFC learned this the hard way when the company tried to appeal to millennials with a campaign that would donate a portion of sales to support breast cancer research. Unfortunately, consumers saw a gaping disconnect between a company that sells fatty foods and a health-related social cause. Nothing turns a millennial off quicker than hypocrisy. Know what you stand for, make sure it’s relevant to your business, and communicate it clearly. Millennials want to support socially conscious brands – and they need to see that you’re worth connecting with. By 2020, it’s estimated millennials will be responsible for one-third of all retail sales, making them a demographic your brand can’t afford to ignore. If you develop authentic relationships, provide relevant content, offer a seamless experience, and show social awareness, your brand can succeed in the millennial marketplace. I suppose the content should be exciting and engaging with a lot of data visualisation. great read!